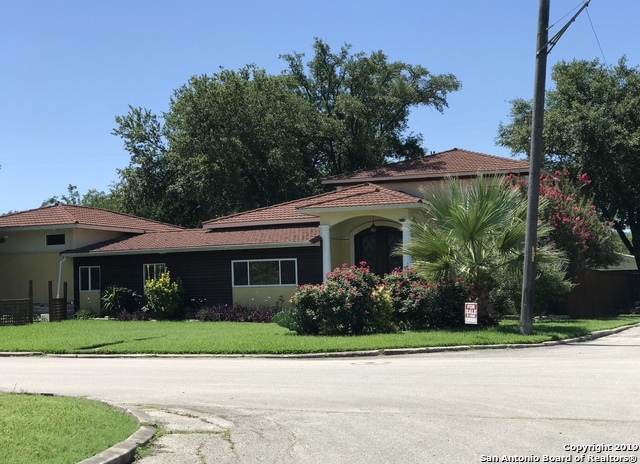 All NORTHRIDGE PARK homes currently listed for sale in San Antonio as of 04/20/2019 are shown below. You can change the search criteria at any time by pressing the 'Change Search' button below. "Custom built in 2014 utilizing original 1500sf foundation/slab and small portion of original structure. New electrical wiring, plumbing pipes, HVACs, Bamboo floor in 2014. Original foundation repaired by StableLift. The 5th bedroom is used as office, metal roof, huge granite island, open floor plan, high ceiling, double sided cabinet island, Energy efficient windows, spray foam insolation, fish pond, vegetable garden, 2-story shed, chicken coup/dog run, corner lot, walk to HEB & school." "Attention to Detail! This Beautiful 2018 Remodel has gorgeous custom cabinets, custom exterior doors, granite countertops, and wood floors throughout. All Systems of the House have been updated or replaced to make this home feel like new. 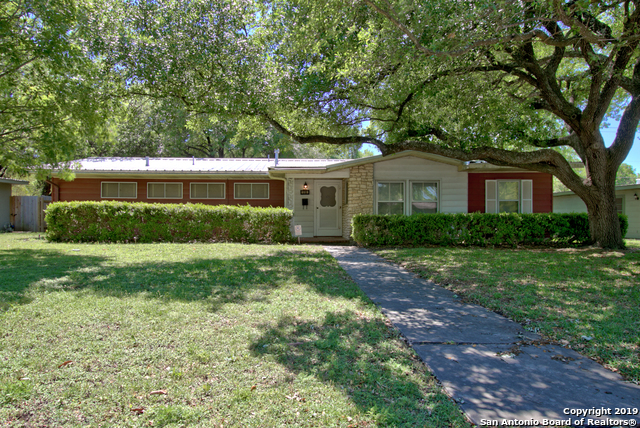 Located in the prestigious Alamo Heights School District and walking distance to Shopping. Simply put, the location and condition cannot be beaten for the price. Gas cooking, tankless gas water heater, variable speed gas HVAC system and Much More. 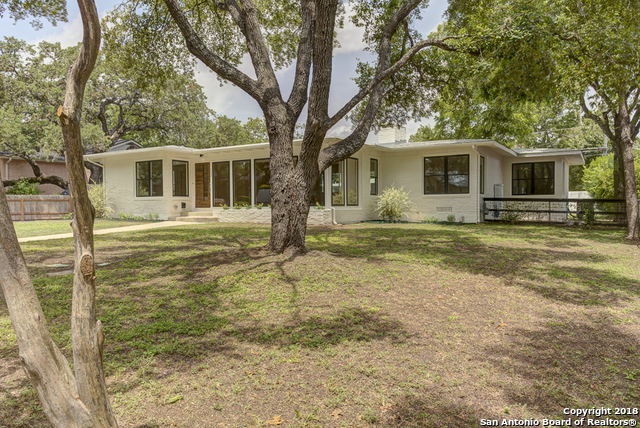 Dont miss out"
"Immaculate home in Alamo Heights ISD with lovely curb appeal! Spacious living area filled with an abundance of natural light!! Gorgeous updated kitchen w granite countertops & stainless steel appliances featuring large eat-in island! Master suite offers spacious updated master bath, large walk in closet with private access to spacious backyard! BONUS: Private Study plus Oversized Pantry/Mudroom with garage & backyard access!! Beautiful Wood floors & High Ceilings! Pergola Patio perfect for e"
"Classic ranch home in Alamo Heights ISD on one of the most desirable streets in Northridge. Wood and saltillo floors throughout. Updated kitchen and baths. Stainless steel appliances. Open floor plan with generous spaces and lots of natural light. Perfect for entertaining. Spacious yard and incredible covered patio with over 500 sqft. Stunning curb appeal, 2-car garage, walking distance to Woodridge Elementary and AH Junior School." "Don't miss this charming, immaculate Alamo Heights jewel that is nestled among lush landscaping and mature trees in the front and back yards. Enjoy cooking on gas stove with granite counters and large pantry. Remodeled master bath enhances the over-sized master bedroom. Inviting covered back patio makes this home perfect for entertaining. Superb location in the heart of Alamo Heights." "Short Sale approved by private lender, can close quick. Welcome to Alamo Heights & this well established neighborhood.Recent remodel includes new walk in tile shower in master,refinished hardwood floors,new tile in the kitchen, master bath,& laundry,recessed lighting & ceiling fans throughout,granite counters & new vanities in both baths,wonderful landscaping awaiting your choice of flowers,new roof,a/c serviced,& much more.Alamo Heights School District,close to HEB,quick access to 410,281,35,& "
"Alamo Heights school district, charming four bedroom, two bath home in the heart of Alamo Heights; original 3 bed 1 bath has been updated, 1 bed 1 bath added onto home at later date may be used as extra bedroom, guest room, rec room. This home defines attention to detail. Home has updated floors, doubled the AC tonnage for home, newer electrical, custom kitchen cabinets and granite counter-tops, newer light fixtures plus much more; including separate dining area and huge fence"
"This residence offers innate charm and great style with excellent investment potential. Located in a established and desirable neighborhood, the interior features include a versatile floor plan with original wood flooring, spacious living area, galley style kitchen with crisp cabinetry and inviting dining area. The outdoor space is complete with rear entry covered parking, mature trees and workshop." "Welcome home to 318 Ridgehaven Place located in Northridge Park. Alamo Heights School District. This beautiful home (1092 sq.ft.) has lots of potentials. 3 bedrooms, 1 full bath, 1 car garage with a separate eating area, and family room. Large lot almost quarter of an acre. Detached 2 Car Garage/Rec Room (24.3' x 26.3') has been converted to (additional 636 sq. ft.) living area, office/study and includes a full bath. Energy efficient windows, insulation, and a/c. Main house features wood floorin"
"Welcome to the Alamo Heights community! This 3 bedroom 1 and 1/2 bath home is within walking distance of Woodridge, AH Junior, and High schools! 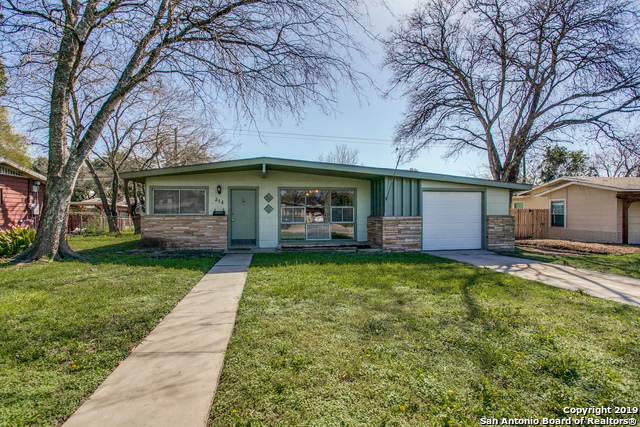 If you like Mid-Century Architecture, you'll love this 50s design. The original bath is truly unique. This home has a new roof, fresh paint, and beautifully restored hardwoods throughout. The kitchen is updated and recently retiled. Come see today!"